5 Unbelivable things that can be 3D printed! 1. A Rock Climbing Robot! Engineers from University of California, San Diego, designed the robot’s legs digitally & carved its performance in various situations, for eg. like, on a soft surface, sandy surface, in narrow spaces or when climbing over rocks. They chose a design that consisted of three spiral-like connected tubes which are hollow inside and made from a combination of Hard & sorf materials. 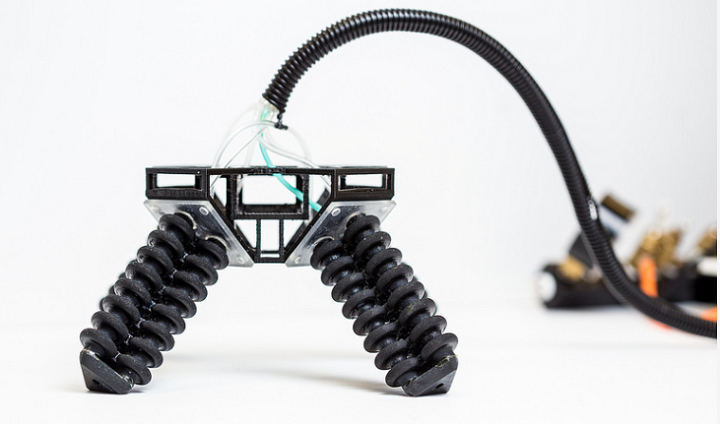 As they take a step, the 3D printed legs of robots test the surrounding terrain and then adjust immediately through pistons that inflate in a certain order and recognize the robot’s gait. 2. 3D Printed Five Storey Office Buildings! The 3D printed home is an successful achievement which many architects and designers have been thinking for a few years now. We ve seen so many companies as well as individuals demonstrating this recently, with modern concepts & designs which take construction well into the 21st century. In April last year, Shanghai, China-based WinSun Decoration Design Engineering Co. revealed what many believed was a rumour in beginning; almost entirely 3D printed 10 homes, with a recycled concrete material. The company came out of nowhere and surprised us. Well, WinSun revelead they made significant progress in their mission to 3D print livable homes and structures. They 3D printed an entire apartment building, having 5 stories, as well as an impressive home, which certainly doesn’t seem to be 3D printed at all. These structures are at the Suzhou Industrial Park, of east China’s Jiangsu Province, and the apartment building consists the area of 1,100 square meters in size! No doubt, this is probably one of the the most exciting achievement within the 3D printing space we have seen. To be able to build a 5-story building with 3D printed material is surely to grab further attention. WinSun have just begun with this. They will carry on further with technology behind this incredible 3D printer, and hope to construct numerous homes at affordable prices. A micro camera which could be used on robots or miniature drones or surgical endoscopes was created by German researchers with the help of 3D printing. The camera provides us eagle-eye vision — with the potential to see farthest objects clearly while at the same time being aware of what’s going on in surroundings. The engineers from the Institute of Technical Optics at the University of Stuttgart in Germany printed clusters of four lenses onto an image-sensing chip using a technique called femtosecond laser writing. The miniature lenses range from wide to narrow and from low to high resolution. This structure permits these images to be combined in bull’s-eye shape with a sharp image at the center, just how eagles see. The four lenses has ability to scale down to as small as 300 micrometers by 300 micrometers (0.012 inches, or 0.03 centimeters, on each side), about the size of a sand grain. Yet the researchers feel they can even make the device smaller than this in the future if smaller chips become available. 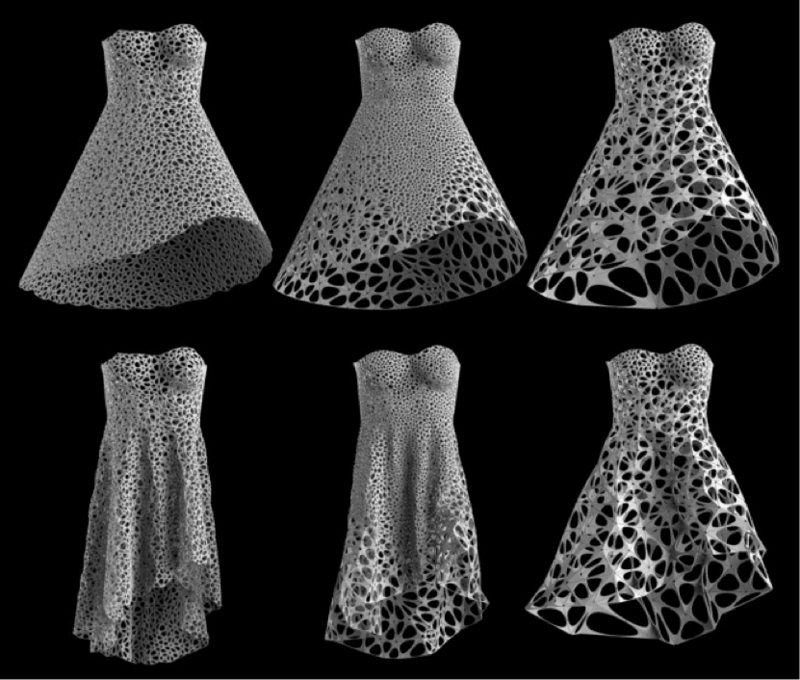 3D printed clothing might not be in stores yet, but it’s already inaugurating on the runway. Model Dita Von Teese wore the first fully articulated 3D printed gown –made especially to fit her. With around 3,000 joints, the dress flows according to her curves! 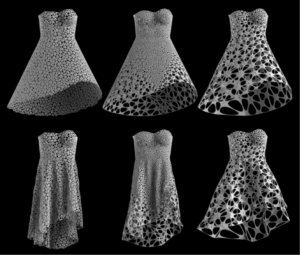 For regular people like us, the 3D-printed clothing could mean a level of customization beyond the abilities of any tailor clothing literally printed to any body’s specifications. Though unless you’ve got a figure like Dita’s, you might not be just ready for that yet. Yes, You read it right. You can even print a Functional 3D printed hand guns too. 3D printing weapons are illegal in Europe, Japan & India but in the United States, it remains unclear yet. Thus, anyone can quickly turn into a kind of a gun manufacturer with only a home 3D printer! Advanced customization and low production costs are some of the merits of 3D printing for making firearms. Pls. Note that it is possible to 3D print gun parts such as the magazine or the handle. 3D printing the most important parts like the chamber or the barrel is a challenge. Indeed, they require high resistance to heat and explosion. 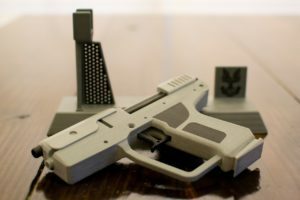 It’s possible to create a functional gun via 3D printing process, but let us tell you that its illegal in many of the countries & we personally think its a bad idea unless you don’t want to get in some legal problems. Thank you for reading our blog folks, stay tuned to our site as we have decided to always come up with amazing topics regarding 3D Printing world.